American Chop Suey a classic blend of noodles, seasoned meat, and herbs in a rich tomato sauce. We’ve upped the flavor ante with sweet Italian sausage and fennel for a fresh Italian spin on this dinner favorite. 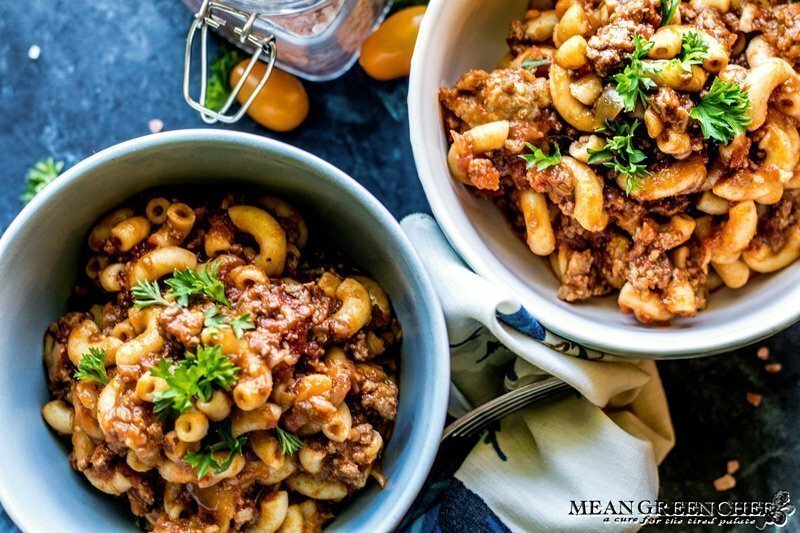 A comfort food dish with many names from goulash to chili mac to Johnny Marzetti, but almost always known in New England as American Chop Suey. No matter what you call it, it’s a standard that’s totally versatile easy and delicious. Substitute ground turkey to reduce calories. Toss in mushrooms, broccoli or your favorite veg when sauteing at the start of cooking. Omit red pepper flakes if you don’t like heat or add more to increase the kick! While elbows are the most common pasta used in Chop Suey, you can also use ditalini, cavatappi, penne, paccheri, fusilli or any small cut pasta. Mix in a cup of Parmesan cheese just before serving if you like to cheese things up! Or top with Parmesan cheese and bake in a 350°F/175°C oven for 15 minutes to obtain a crisp cheesy crust. American Chop Suey a classic blend of noodles, seasoned meat, and herbs in a rich tomato sauce. We've pumped up the flavor by adding sweet Italian sausage and fennel, one of my all-time favorite root vegetables, which adds a new level of flavor! Heat a heavy-bottomed Dutch Oven or pot over medium-high heat, add 2 Tablespoons of EVOO and reheat 30 seconds. Add half of the peppers and onions, and sauté for 3 minutes until the onions become translucent, then toss in the garlic and sauté for another minute. Add the ground beef, sweet Italian sausage and cook until no longer pink, breaking up into smaller bits as it browns. When the meat is cooked, ladle into a fine mesh strainer and strain off any excess fat and liquid. Add the remaining 2 Tablespoons of EVOO and bring back to medium-high heat, add the strained mixture back into the pot and stir. Mix the crushed tomatoes, tomato sauce, tomato paste, Worcestershire sauce, Italian seasonings, fennel seed, Kosher sea salt, sugar, red pepper flakes, and Parmesan rinds into the meat mixture. Stir to combine, cover the pot and simmer for 30 minutes. After 30 minutes add the remaining peppers and onions, stir, cover and simmer an additional 30 minutes. 15 minutes after adding the second batch of onions and peppers, bring a large pot of salted water to a boil over high heat and cook the elbow macaroni until just slightly undercooked, about 5 minutes. Reserve 1 cup of the salted cooking water and set aside. Strain the elbows and add to the beef mixture along with the reserved 1 cup of pasta water. Heat and stir for 5 minutes or until the pasta is perfectly cooked, remove the Parmesan cheese rinds and discard. Ladle into warm bowls and serve with freshly grated Parmesan cheese and serve with crusty bread and a side salad if desired. If you’re looking for dinner inspiration then you may like these easy, delicious ideas too! I love this recipe..and your tip about using ground turkey to reduce calories! I am excited to try this!! 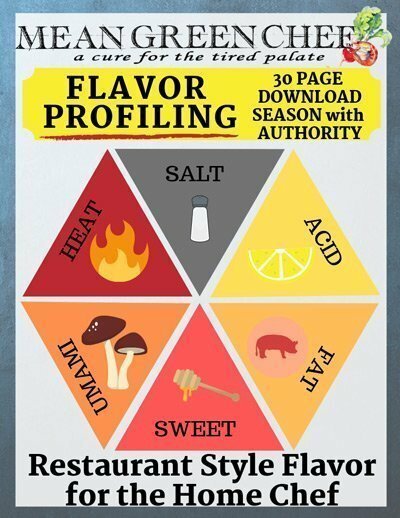 This looks amazing, as all your recipes do. I am going to make this this weekend. As always this looks yummy! I always forget to take pictures when I make any of these. But I just printed out this recipe and wrote in BIG letters on top of it “Take Pix and Post on MGC Blog”. Thanks for all the goodies! Love American Chop Suey. I normally just make with our ground beef, but am definitely a fan of adding some spicy sausage to the mix. Thanks for sharing! Looks delicious! I don’t eat pork but I think I would be delicious with turkey! Hi, Katie! 🙂 yes it would be delish with turkey too, you can always adjust for flavor once it’s done cooking with a little extra Worcestershire sauce too. Thanks so much for stopping by! Yum!!!! It’s funny that is has all those different names. My mom always called it beef a roni and in Israel they just call it macaroni. Hi, Pauline! 🙂 Yes agreed, it’s funny how one dish can have so many names I heard of beef a roni, was surprised by Johnny Marzetti and had no idea it was even considered a dish in Israel. Food really does tie us all together 💙 thanks so much for checking it out! Wow! This looks delicious. Pinned it for later to make. Thanks for sharing! Every time I receive your post, I always get hungry 🙂 Every recipe is as amazing as the other. Love chop suey! This looks delicious!!! Yum! I have not had this is so many years, but it looks like you added a few new twists! I can’t wait to try it. Ummmm, I had no idea that Chop Suey was the same thing as Goulash! Who knew?? Yours looks amazing! All of your recipes look divine! Adding this one to my list to try. Oh my gosh, I just realized how ignorant I am….. I have heard of Chop Suey and always assumed it was an Asian dish – LOL. This looks so yummy. I’ve pinned it so I can try it out. I’ll use the tips on the Turkey ground beef and Italian sausage for the reduced calories. We don’t eat a lot of pasta, but every once in a while, it would be a treat! Can’t wait to try it. This is totally my kind of dish… It looks so good! This looks delicious! I haven’t thought about Chop suey in a long time! This looks like the ultimate in comfort food goodness! I always wondered what chop suey was exactly. Now I know! I’m working on a vegan version of this dish! I’ve never heard it called American Chop Suey. That shows were Im NOT from. 😃 I’ve always called it goulash. Sounds delicious!! I like how this recipe is soo versatile. I’ve been looking for easy weeknight recipes. I need to add this to my list! This is so different from the Chop Suey I know but it looks delicious. I’m adding this recipe to my menu for this week. Ah – this brings back memories. I grew up on chop suey, but haven’t made it in awhile. I need to add this back into the menu! This is such a great “American” twist! Love it! Your food always looks so delicious! This one seems pretty easy too!! Thanks! Thanks, Nicki!! 🤗 It really is super easy to make and the sausage and fennel add a really nice depth of flavor! I like how you added in ideas for variations. Sometimes folks do not prefer certain ingredients. Some people like a little something more. Having ideas can be helpful. Thank you for sharing! Now…what other goodies will I find on your web site?